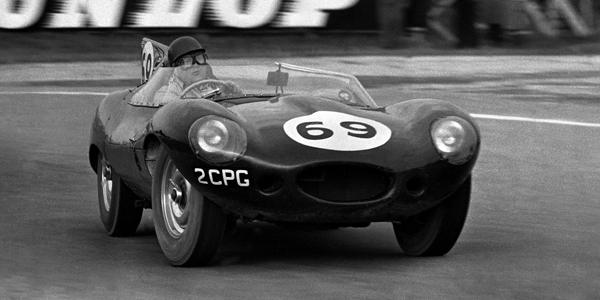 A car so famous that it is known universally by its numberplate. 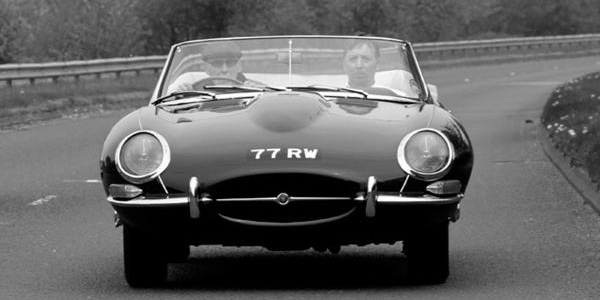 This Jaguar E-type, which you can see on the Best British Cars Ever stand in partnership with Autoglym, was the very car that legendary test driver Norman Dewis OBE drove overnight in a 17-hour dash to Geneva before the new Jaguar took the show, and subsequently the world, by storm. Hear Norman Dewis tell all on the Interview Stage on Sunday November 1st. 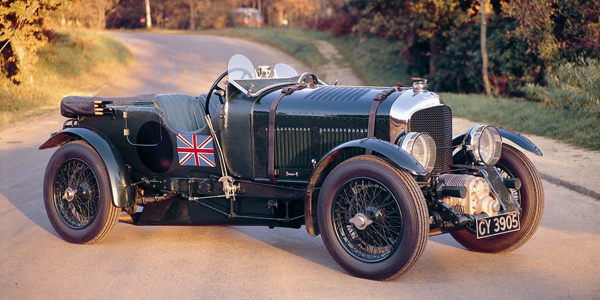 As part of our commemoration of Lord Montagu’s life dedicated to veteran, vintage and classic cars, we will be displaying the National Motor Museum’s ‘Blower’ Bentley in Alexandra Palace’s fabulous Palm Court. As well as helping us to remember the recently departed stalwart, this towering 1930 leviathan embraces the overall show theme of Best of British like nothing else. A genuinely awesome machine. The show’s huge celebration of the British motorcycle industry will be told through a timeline of some 50 ’bikes, but the centrepiece will be a brace of Brough Superiors. 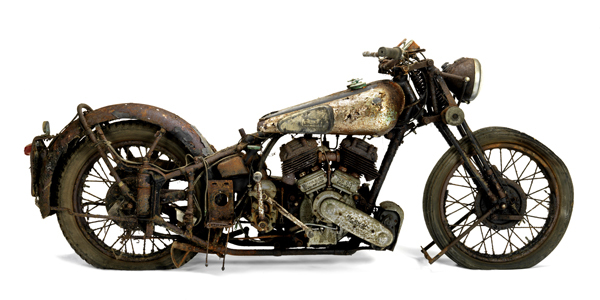 One of the most prestigious of all Brit ’bikes, rivalled only by the legendary Vincents, the Superior was famously the favourite of TE Lawrence, Lawrence of Arabia. We have two great examples at the heart of the Panorama Room display, including a barn find 1938 example that was last on the road in 1959. There are loads of great artists displaying their wares at Classic & Sports Car – The London Show, but for sheer breathtaking scale, none can compete with the giant canvases of Kent-based artist Paul Smith. His atmospheric large-format pictures of motor sport scenes were specially chosen to dress the glitzy JD Classics showroom in Mayfair and you’ll be able to see why at Alexandra Palace. 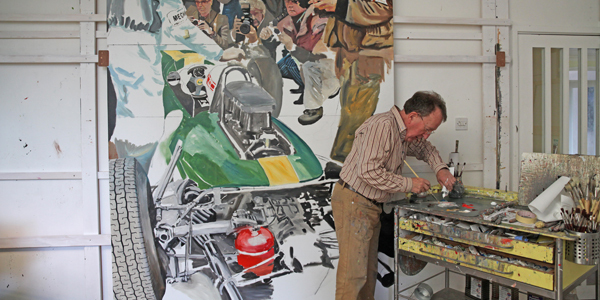 We are particularly looking forward to the unveiling of a new work, Jim Clark and Lotus 33 at Goodwood, at the show. 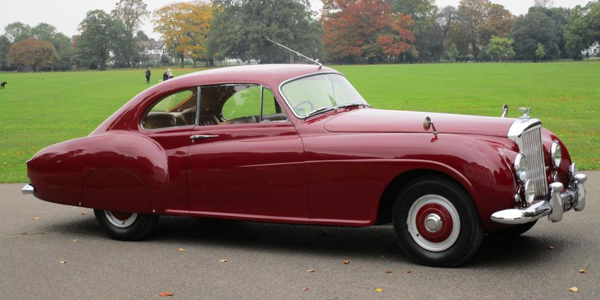 The very first classic car specialist to sign up for this event was Rolls-Royce and Bentley guru Frank Dale & Stepsons and we can’t wait to pore all over the beautiful 1955 Continental fastback that will be on its stand. Powered by the legendary 4887cc straight-six and clothed in iconic HJ Mulliner coachwork, this is as imperious a British car as can be imagined. 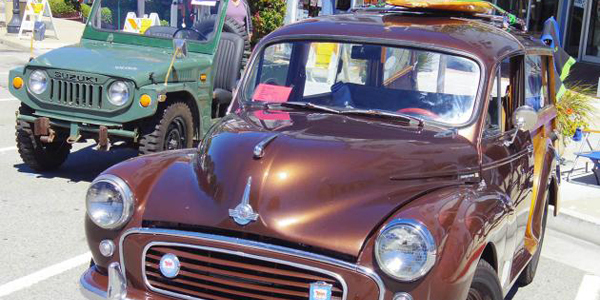 Make sure you explore the Grove Car Park, the one closest to the main entrance to the show, where there will be a special show of the classic and enthusiast vehicles brought to the event by visitors. There will be a show each day with participants already booked in ranging from mainstream classics like those of the Classic & Sports Car team, to cherished visitor cars such as Alfa GTV and Triumph Stag and on to pricey exotics including Ferrari F40 and Maserati Mistral. Just one of the cars on our celebration of Stirling Moss’ greatest British single seaters, but what a car. 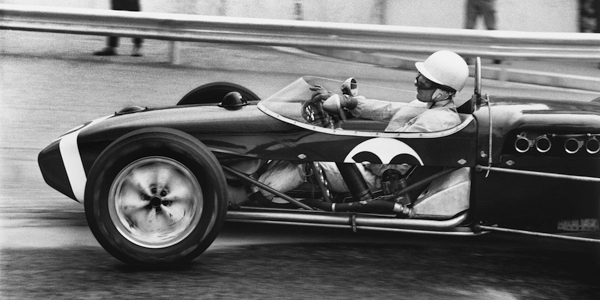 Not only did Moss pilot the Rob Walker Racing Team car to victory at Monaco in 1960 – in the process giving Lotus its first F1 World Championship win – but, against all the odds repeated the feat the following year when, in theory, it should have been left for dead by a grid of newer, more technologically advanced cars. Like Moss himself, a one-off. The world’s largest motoring archive, boasting more than 1.2 million images dating back to 1895, is set to put on a stunning display in the West Corridor. The fantastic visual treat is still under wraps, but it has been set up in association with Jaguar land Rover and we promise you won’t be disappointed. Don’t miss it. 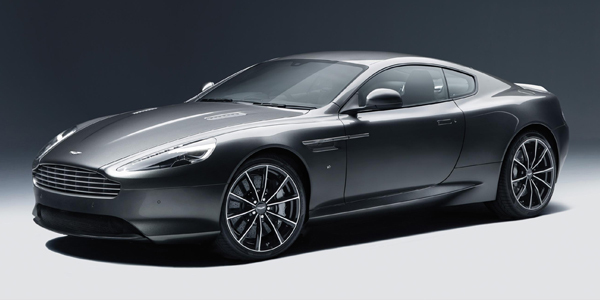 We don’t often get excited about modern cars, but we are really looking forward to seeing the DB9GT, which along with A3 – the oldest Aston in existence – will bookend our celebration of the UK’s most desirable marque partnered by EFG. With a bit of added Bond fever in the air thanks to the launch of SPECTRE, this whole display is going to be really special. 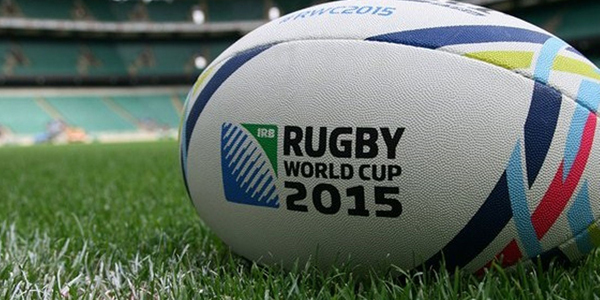 Just because we’ve got a superb show on doesn’t mean that we aren’t interested in the Rugby World Cup final. So whether you are a jubilant Kiwi or Aussie, a jealous southern hemisphere fan, or a slightly depressed northern hemisphere supporter who would still like to see how the game can be played, we’ll be screening the event live at the show. So grab a beer and join us while the drama plays out. In total, Classic & Sports Car – The London Show will feature more than 300 of the world’s most prestigious classic cars from world-famous collectors and world-renowned classic car retailers. Organised by Classic & Sports Car, the world’s best-selling classic car magazine, The London Show will announce the results of its worldwide poll to find the Best British Car Ever, with all ten finalists celebrated in a special feature sponsored by Autoglym. The London Show will also include a celebration of Aston Martin, a display of Sir Stirling Moss’ British single-seater competition cars and a star-studded Interview Stage featuring celebrity guests from the world of motoring including Norman Dewis OBE and Ross Brawn OBE. Tickets for Classic & Sports Car – The London Show are still available fromwww.classicandsportscarshow.com or by calling 0844 581 1275.